In the absence of a reliable WiFi connection, we all tend to use cellular data on our iPhone. In fact, using own cellular data is a safer approach rather than connecting to a random WiFi connection. However, some users come across “iPhone network not available” situations which can be really annoying. Well, what can you do if the iPhone network is not available? Can it be fixed? If so, how? Let’s find it out! In fact, in most of the cases, “iPhone network not available” issue can be resolved just with a couple of taps. Listed below are 10 of those simple remedies for the reference of our readers. This is the simplest of all the remedies you can try in order to rectify potential errors associated with cellular data. Follow the steps mentioned below to do it. 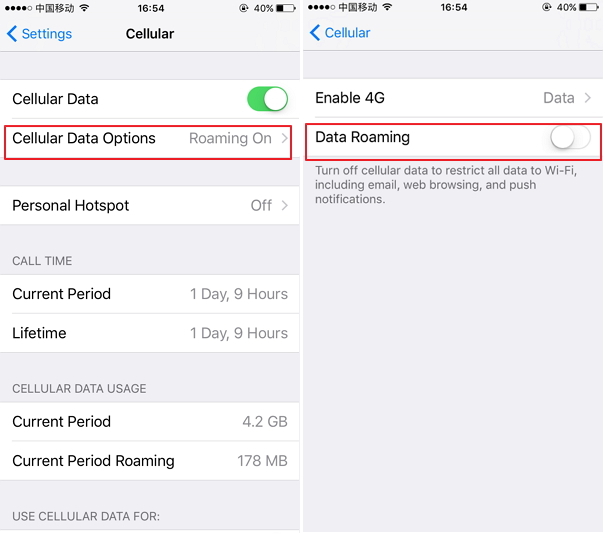 Step 1: Go to Settings app on your iPhone and tap on Mobile Data. Step 2: Tap on the switch that is located right next to this option to switch it off. Step 3: Wait for a couple of seconds and then tap on the same switch to turn on cellular data. If turning on and off cellular data doesn’t work for you, it is better to give your device a restart. 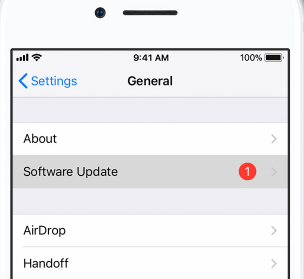 In fact, a restart can fix many of the basic glitches associated with your iOS. Let’s see how to do it. 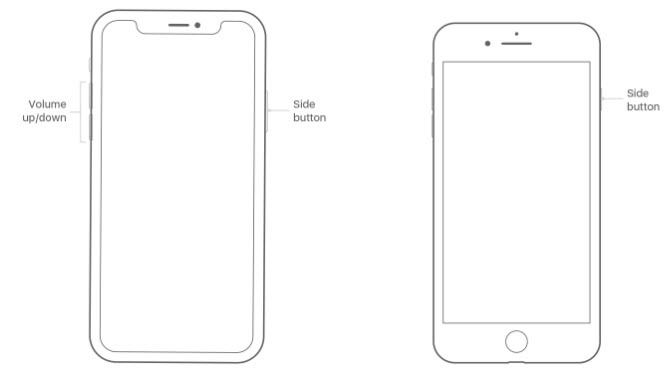 Step 1: Press and hold the Side button and either volume button until the slider appears. Step 2: Drag the slider to turn your device completely off. Step 3: After your device turns off, press and hold the Side button again until you see the Apple logo. Step 2: Once appeared, drag this slider and turn the device off. Once the device is turned off, wait for a minute or so. Step 3: Press the Top/Side button and hold it once again to see the Apple logo. If both of the above options fail, you should try a somewhat advanced method. That means, you will have to update the iOS version. Here’s how to do it. Step 1: First, plug the iPhone into power and then connect it to your WiFi network. Step 2: Go to Settings app and then go to General option. Step 3: Tap on the option Software Update. Step 4: You should then tap on Download and install. Step 5: Tap on Install to update. If prompted, you should enter the passcode of the device. Your cellular data may not work if you haven’t carried out a carrier update recently. You can contact your carrier and get to know how to perform an update if updates are available. If there is an update, you will also be notified with an “OK” button. This is another basic remedy you can use in order to fix cellular network. Step 1: Open Control Center of the device and tap on the icon that resembles an Airplane. 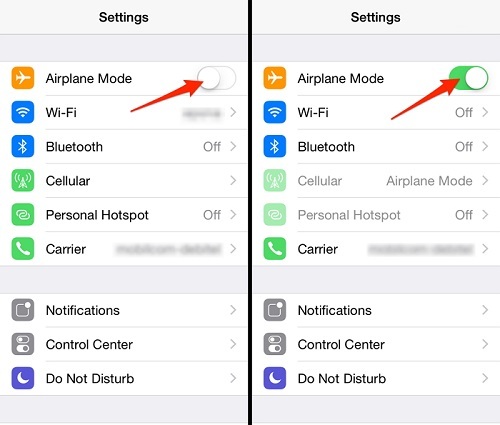 Or you can simply go to Settings app and select Airplane Mode to turn it on. Step 2: Wait for a couple of seconds and tap on the same airplane button to turn it off. 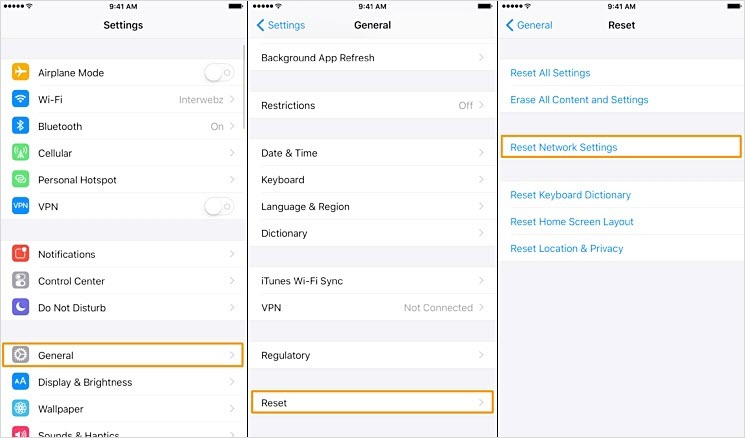 Another not-so-difficult method to fix network issues is resetting the network settings of your device. Let’s see how to do it. Step 1: Go to Settings app and tap on General. Step 2: Then, select the option labelled Reset and then go to Reset Network settings. Please take a note that this option resets all the Wi-Fi networks, VPN, Bluetooth and APN settings in addition to your cellular settings. So, back up or write passwords down before performing this option. 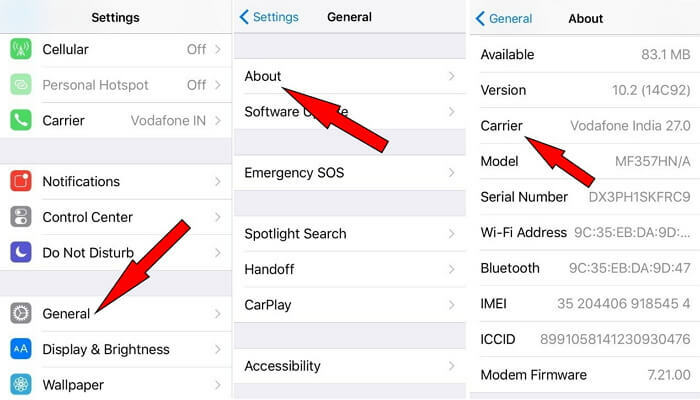 If you are yet to find luck with fixing cellular data issue, you may opt to reset all the settings on your iPhone. Here’s how to do it. Step 1. First, go to Settings on the home screen of the iPhone and tap on the option called General. Step 2: Press the option “Reset” which is located towards the bottom. 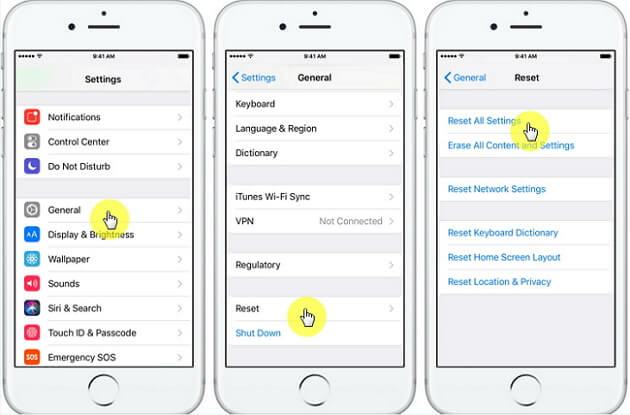 Step 3: Choose the option “Reset All Settings” (enter the passcode when prompted). 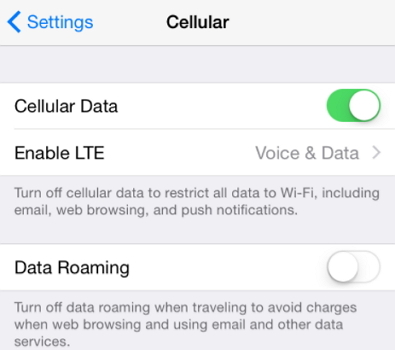 Disabling LTE is another option for those who experience issues with their cellular data connections. 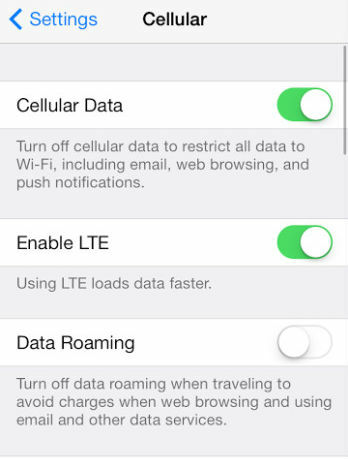 Just like with many other options in this list, disabling LTE is a pretty easy process. Step 1: Go to the Settings app on the home screen and tap on Cellular on your iPhone. Step 2: You should see options like Cellular Data, LTE and Data Roaming. Step 3: Tap on the slider labelled “Enable LTE” and you should see that it has turned into white. If you need to access internet faster, you should have this option switched on. Switching Voice Roaming off and turning it on once again may fix some of the minor glitches associated with your cellular network. Here’s how to do it. Step 1: Go to the Settings icon on home screen and select Cellular and then go to Cellular Data Options. Step 2: Tap on the option labeled Roaming. Step 3: You should tap on the option Voice Roaming switch so it will be turned off. Step 4: Wait for a couple of seconds and tap the same switch to turn it on. 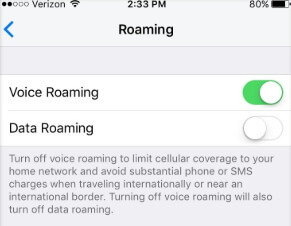 If your cellular data network doesn’t work when you are in another country, it is better to check Data Roaming. Step 1: Go to Settings app and select the option Cellular. Step 2: Then go to Cellular Data Options and check if it is switched on. Step 3: If not, you can switch on it and see if it works. If none of the above options work, the problem might be somewhat serious than you think. But you don’t need to panic. Instead, you can seek the assistance of a professional software like iMyFone D-Back. iMyFone D-Back comes with a range of features in addition to recovering lost data off iPhone. You can use this impressive software even to fix various glitches associated with iOS system. For instance, it can fix issues like iPhone stuck in recovery mode, iPhone stuck in spinning circle, iPhone stuck on Apple logo, white screen of death, black screen of death and etc. So, fixing cellular network issues can be done with this tool conveniently. It is also trusted by many professional websites. Here are the steps you should consider in order to fix Family Member Not Showing in Screen Time. You can fix this issue using the standard mode of this software. 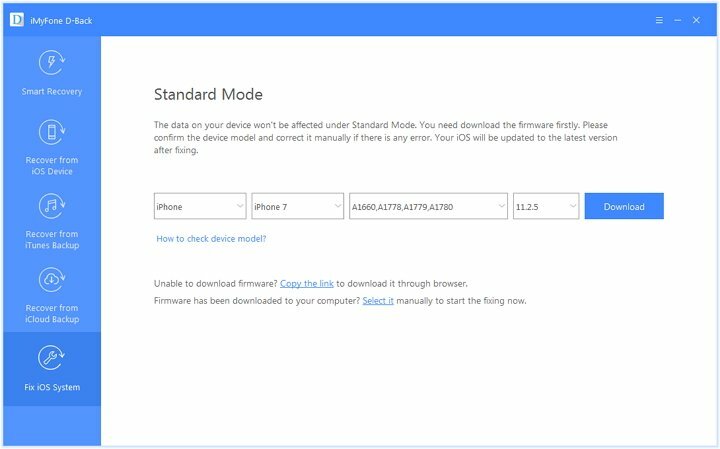 Step 1.Connect your device to the computer on which D-Back is already installed and choose Standard Mode. Step 2.Put your iPhone into DFU/Recovery Mode. Step 3.Click on the button labeled “Start”. 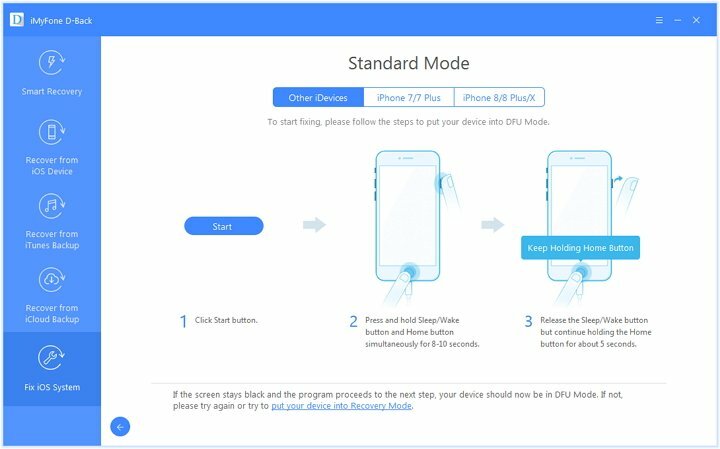 When you are in the DFU or Recovery Mode, D-Back will automatically search for the firmware for your phone. Simply press the button “Download” and D-Back will get it downloaded effortlessly. Step 4.Once the downloading is finished, you can press the button “Start to Fix”. D-Back will scan the downloaded firmware and then fix all the issues related to the iOS. 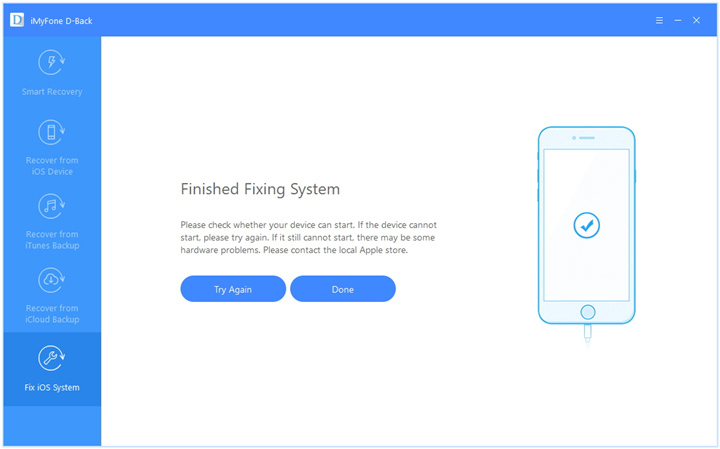 Sometimes, you might lose data after fixing this issue if you choose to restore your device. 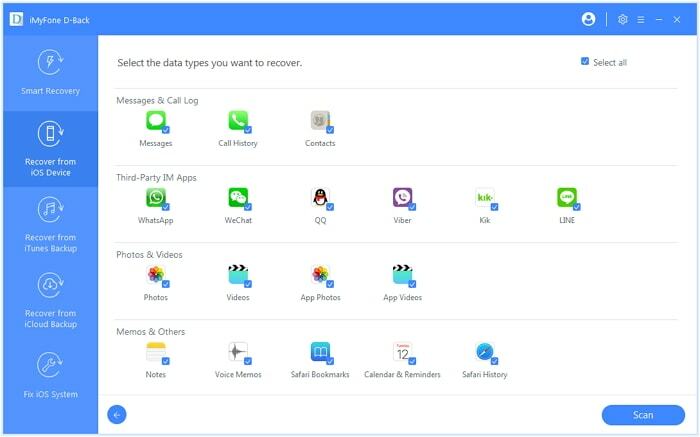 With iMyFone D-Back, however, you can recover the lost data without backup. Here’s how to do it. Step 1. 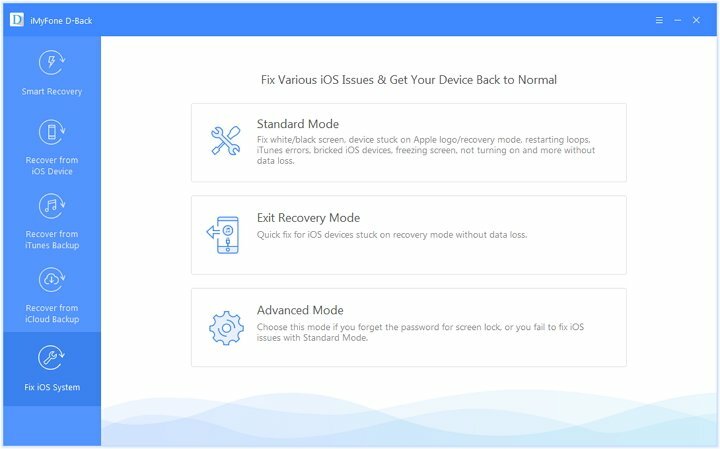 Open D-Back on your computer and start from “Recover from iOS Device” tab. Then, click on the option “Start”. Get the device connected to the same computer and let it detect the device. Press Next. Step 2. Select the type of the files you wish to retrieve. Then, click on “Scan”. Step 3. Once the scan is finished, the recoverable files will be listed. Click on “Show only the deleted files” or click on each tab depending on your requirement. Click on the option “Recover”. We expect you to carefully go through the options we have presented in this article. You can then opt to a method that suits your requirement. Be sure that you select the option that is reliable and safe. Also, we appreciate if you can leave us a comment about your experience in fixing the cellular network issue.